What does digital transformation mean for government? There’s no single answer. Whether it’s at the federal, state or local level, every journey to digitize will look different. And while government continues to face a number of challenges to digital transformation, the benefits are clear. Preparing for the digital future is not only a means to keep up, but also essential to the functionality of government. 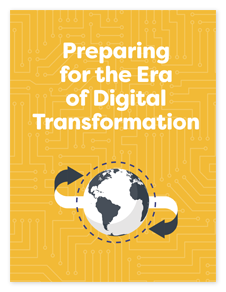 By navigating important trends such as IT modernization, mobility, data analytics, IoT and digital citizen services, government can better prepare for the era of digital transformation.